Jet Stream Max is a soft, granulated mineral wool thermal and acoustic insulation, manufactured by melting and spinning a blend of inert, natural minerals. It has all the advantages of glasswool batting materials without the inherent installation disadvantages, so achieves superior installed performance. It has no added formaldehyde, is non-combustible, clean and durable blown insulation used to insulate New Zealand roof attics. Premium quality Jet Stream Max forms a consistent white layer similar to cotton wool in accessible roof attics. It eliminates energy wasting gaps, joints or vented cavities between the insulation and lining common with blanket or batting. Jet Stream Max is packed in white plastic bags. Total (installed) thermal effectiveness of Jet Stream Max is superior to batting or blanket, as it covers the full ceiling – including over and under timber joists – without joints, gaps, thermal bridging, or vented cavities commonly found between linings and batting or blankets. Batting or blanket materials need at least two layers to achieve the same installed thermal effectiveness of Jet Stream Max,® that only requires simpler installation of the design thickness and weight. Compliance with NZ Building Code (NZBC) clause H1.3.1 (a) and H1.3.2 with Jet Stream Max® is achieved via H1/AS1, clauses 2.1, 2.2 and 2.3. The minimum Total R-values of R2.9 / R3.3 (depending on zone) stipulated in Tables 1 and 2 of NZS4218 and NZS 4243, are exceeded. Alternatively, should Licensed installers complete a design on an individual building in accordance with NZS4218 calculation method, other R values specified will comply. Jet Stream Max® provides effective sound absorption and reduces transmission of sound through roof attic or floor cavity assemblies. Jet Stream Max® greater than 150mm deep will provide similar sound transmission co-efficient (STC) to any tested assembly with glasswool batting. This designated “Design”, “Construction” or “Construction without Building Consent” statement covers the use of Jet Stream Max® to meet or exceed the Australian and NZ Building Code sections B2, E3, F2, H1 requirements, when used in buildings at any geographical location in accordance with this document. For attics, BCA’s need only inspect that material thickness and weight is in accordance with the thermal effectiveness design specified. The R-values stated in this document are at the lowest realistic blown densities and the material is sold by weight, so any change should be positive. Licensed installers must state the installed thickness and weight installed (bales) on a card affixed near the attic access & provide site records to the BCA upon request. Jet Stream Max® is non-combustible, and needs no additional treatment to prevent the spread of flame. It is the ONLY locally available blown insulation to demonstrate compliance with the rigorous requirements of ASTM E136-82 for fire properties. Jet Stream Max® complies with NZBC section F2.3.1, as non-hazardous material. It’s a low bio-persistent, formaldehyde free mineral wool, which is odourless and does not provide food for vermin. 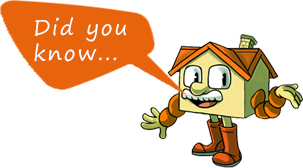 The product does not represent a health risk to installers or occupiers of insulated buildings. Jet Stream Max® is not dusty or a skin irritant, however face masks and overalls should be worn when working with all insulation materials. Jet Stream Max® will satisfy the requirements of NZBC clause 2.3.1(a) & B2/AS1 Table 1 of 50 years durability in accessible roofs at the correct installed density. Field monitoring indicates long-term settlement is less than 3% in ceilings. Ceilings: 8.4 kg/m3 At the maximum installed density Jet Stream Max® complies with the Gib specified maximum insulation weight of 3kg/m2 up to R-value of R6. If R-values exceeding R6 are required, consult Safe-R Insulation (NZ) Ltd.
Jet Stream Max® is unaffected by humidity or water. It can contribute to NZBC section E3.3.1 and complies with E3/AS1, section 1.1. If wetted, thermal resistance will be completely restored, when dried. Jet Stream Max® is designed to provide effective thermal and acoustical insulation for dry, horizontal roof attics or floor cavities lined on both sides. It is not suitable for application on surfaces exceeeding a 30 degree incline, which should have double layer of batting fitted, to provide the same Total R-value. It is not suitable for skillion roof or wall cavities, where the external cladding may be wet on it’s inner face. Use water repellent CavityWall™ insulation (CWI) for these applications. Installation of Jet Stream Max® is much less demanding than batting or blanket installation – no cutting, avoiding edge compression, or need to eliminate the vented cavity between the material and internal lining – so is much more likely to achieve theoretical design R-values in situ- particularly in truss / batten roof construction.